Want a wonderful Vacation Home? Come enjoy the beautiful Destin seashore with its white sands and emerald waters. 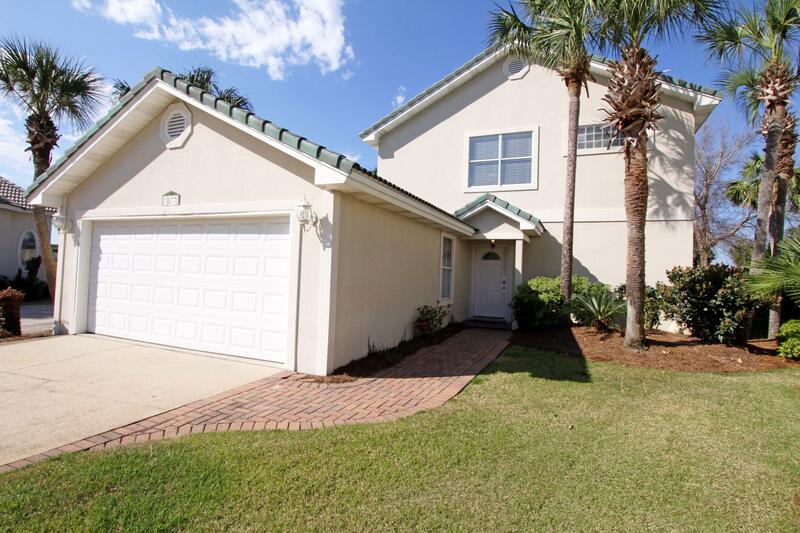 Must see two story Mediterranean Style beachside home in the gated gulf front community at Dunes Of Destin. This wonderful three bedroom two bathroom home offers two bedrooms, a wet bar area and a living area downstairs and boasts lake views, master bedroom and living area upstairs. Dunes of Destin offers a lakeside pool and private beach access for all of it's owners and guests. This beautiful home under $500,000.00 is being offered to you rental ready and completely furnished for your relaxing in the sun. All information deemed accurate but should be verified by the buyers along with dimensions.